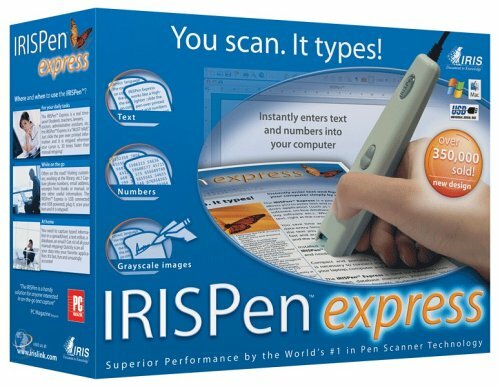 The IRISPen Express is the fastest most accurate pen scanner on the market! The new IRISPen Express has been redesigned making it lighter, more compact, and more ergonomically correct, for more comfortable use. Just hold it like a highlighter ¿ slide the pen over the printed text and figures you need and the pen will instantly insert the scanned data into any Windows or Macintosh application. This USB powered scanning pen easily connects to your laptop or desktop computer. With an accuracy rate above 99%, the IRISPen Express is the perfect tool for home, business, or school!